Passings: At The Comics Journal, Daniel Best shares an extensive obituary on his friend Norm Breyfogle, artist of Batman, Detective and other titles, who passed away last week. Passings: Editor Karen Berger remembers comics writer and celebrity chef Anthony Bourdain, and discusses his final comics project. This stems from events which took place in May 2018, when Antarctic Press announced they were to publish Meyer and Jon Malin‘s upcoming graphic novel Jawbreakers, originally planned for publication in August. Bleeding Cool reported then that Mark Waid phoned them up to discuss the matter. The publisher then announced they would not be publishing the comic, subsequently stating in part “It’s now bigger than we could have handled”. Meyer claimed that Waid had bullied them into their decision, though the publisher issued statements saying that hadn’t happened. Meyer then crowdfunded Jawbreaker on IndieGoGo, raising almost $400,000 to publish it himself. Publishers: Speaking of Mark Waid, the French comics publisher Humanoids is celebrating its 20th anniversary in America this year, and they’ve announced two new hires this week in the lead up to New York Comic Con. Artist John Cassaday has joined the company as chief creative officer, while Waid has been named director of creative development. In addition, the publisher is teasing something called H1. People: Valiant Entertainment has promoted Editor Karl Bollers to senior editor. People: Congratulations to letterer extraordinaire Richard Starkings, who married his girlfriend Lori Anne Perkins. 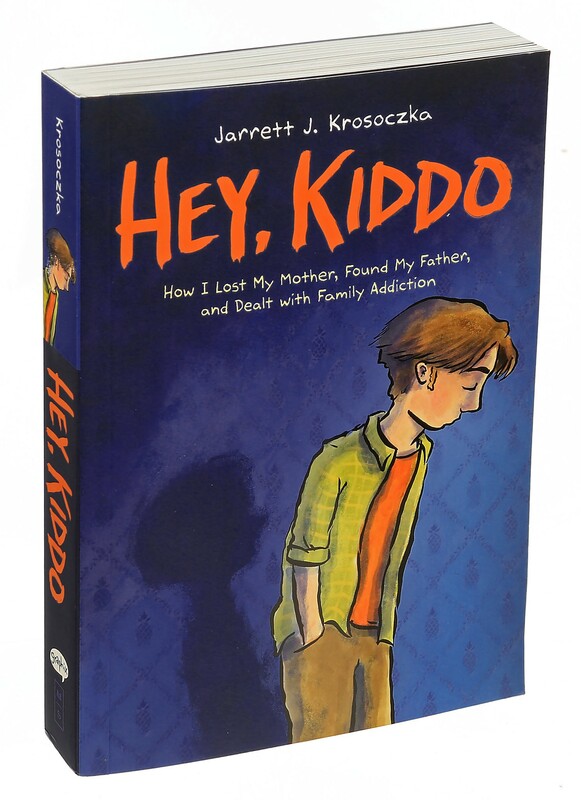 Interview: The New York Times profiles Jarrett J. Krosoczka before the publication of his new graphic novel, Hey, Kiddo. The autobiographical story, published by Scholastic, is about how he was raised by his grandparents as his mother battled a heroin addiction. Roundtable: In the build-up to the New York Comic Con, The Beat’s Alexander Lu hosts a roundtable with the creators of the new “socially conscious” era of Vertigo titles, including Ben Blacker, Tina Horn and Rob Sheridan. Local Hero: Ryan Ferrier discusses his new graphic novel with artist Roger Langridge, Criminy, with Calgary’s the YYScene. 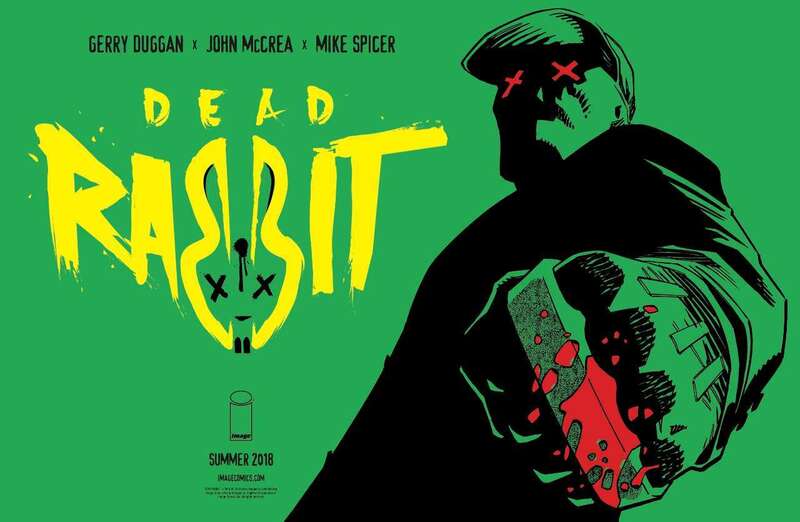 Podcast: David Harper talks to Hitman artist John McCrea about his new book from Image Comics, Dead Rabbit, with writer Gerry Duggan. Local Hero: Flintside talks to Jonathan Diener about Hope: A Comic for Flint, a charity anthology by local Flint, Michigan creators. Proceeds benefit The Compass, a program that helps adults with developmental disabilities in the Flint area. Podcast: Strip Search: The Comic Strip Podcast chats with Shelli Paroline and Braden Lamb about their work in comics as well as Paroline’s role as co-director of the Massachusetts Independent Comics Expo. 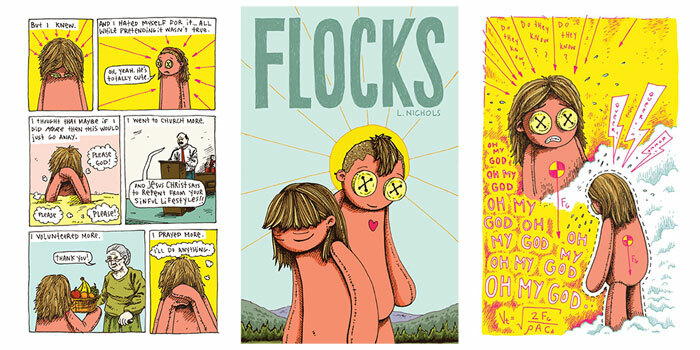 Small Press: Chris Mautner discusses two comics by transgender creators he picked up at the Small Press Expo, Flocks by L. Nichols and Little Stranger by Edie Fake. War no more: Michael Dooley remembers the time when Blazing Combat, a comic about war, was banned by the U.S. Army. Manga: Manga Therapy looks at victim-blaming and responsibility in the context of Tokyo Ghoul.